Looking for an affordable bug extermination services in your area? At EcoTech, we are Minnesota’s choice when it comes to the pest exterminator. As a natural pest control company, we provide all of our customers with organic pest control services that are both effective and affordable. Offering our services to both residential and commercial owners with a bug problem, we are the first and only number you need to call. At EcoTech, we are proud to say that we are a local, family-owned pest control business that knows the area’s most obnoxious pest problems and can eliminate them quickly and effectively. Our team of experts has a combined experience of at least 50 years, making us extremely qualified for any job that we take on. While we have been around for a while, that doesn’t mean we don’t keep up with the latest technology. Our team at EcoTech keeps up to date with all our industry’s advancements. We take pride in the work that we do with the safety and wellness of our customers in mind. This is the main reason we provide all natural, organic solutions at an affordable price. If you’ve got a bug problem, we’ve got your solution. All you have to do is give our professionals at EcoTech a call today. For those that need immediate attention, we offer 24/7 emergency service for those that cannot wait. Once you call us, we will work out a flexible time to meet that is convenient for you. Next, one of our highly trained bug exterminators will come out to your property and inspect the area. 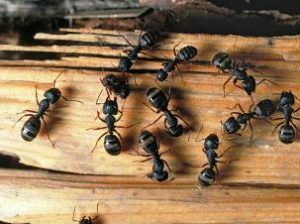 We will work to identify your exact pests so that we can effectively treat and eliminate these unwanted critters. Once this is determined, we will provide you with an affordable quote for extermination, ensuring that there are no surprises or hidden charges. Our next step is to work to effectively and efficiently remove the pests. Our customers have the option of natural or traditional methods. Once the bugs are exterminated, we will complete the work to prevent this problem from recurring in the future. We are so confident in our services that we back all of our work with a four-year warranty. If you are in search of an affordable bug exterminator, look no further than your local experts here at EcoTech. For more information, give us a call today at (651) 260-7378.